Jason’s Deli, located at 321 South Veterans Parkway in Normal, offers a wide variety of options from salads all the way to a monster corned beef and pastrami sandwich. They also offer a wide gluten sensitive menu or low sodium menu, healthy kids meals, and desserts. The food they serve contains no high-fructose corn syrup, artificial trans fats, colors or flavors, and no processed MSG. They leave out all the bad stuff, filling you with wholesome ingredients that fuel your body. Quality, delicious ingredients? Check. Great service and atmosphere? Double Check. “We strive to be more than just a restaurant. We want to be somewhere that you get excited to take the family on a night out, an option that you know you can fit in on your short lunch break, or a friendly option to take the friend you haven’t seen in years to sit down and catch up,” Wesley added. A look at their menu shows plenty of options. We tapped Jessica Schauls, Four Seasons Health Club Fitness Center Manager, who also has a background in nutrition, for her picks for healthy, nutritious meals. Bonus: All three options are under 500 calories, filling and delicious! When picking a healthy lunch option, pick a meal that will keep you full for a while, but not so heavy that you can’t stay awake at your desk. That’s the worst and is what tends to make you reach for the carb loaded, processed snack around 3pm or something filled with caffeine that disrupts your sleep. You want to choose something that helps you stay alert and focused! Look for a balance of macronutrients: lean protein, smart carbohydrates, healthy fats, and colorful vegetables for a variety of micronutrients (which supply you with essential nutrients for proper body functions). Here are some great options at Jason’s Deli that check all the boxes! 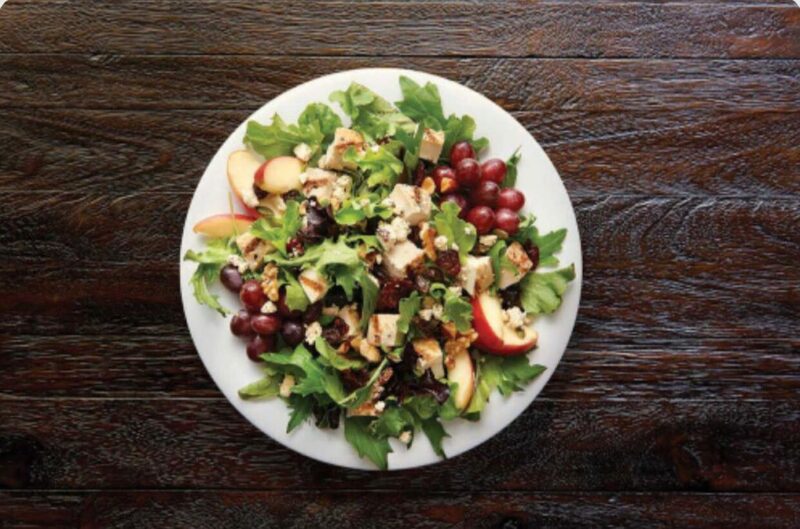 Nutty Mixed Up Salad – With or without chicken (for the non-meat eaters), it’s a great option, especially if you have a bit of a sweet tooth. The dried cranberries and raisins will satisfy the craving, along with some fiber-rich apples and grapes. Nuts, feta, and pumpkin seeds provide healthy fats for good brain function and keeping you fuller, longer. 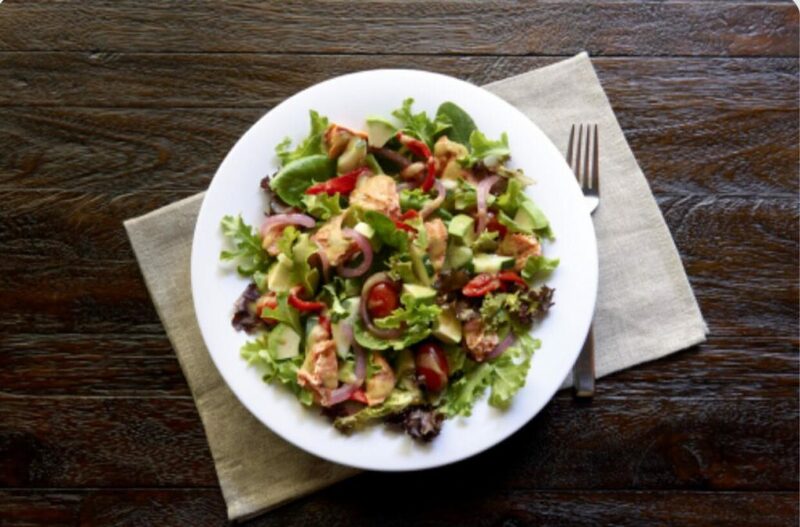 Salmon Pacifica Salad – This is a great option if you’ve worked out today! This salad is packed with protein to rebuild muscle and potassium, an electrolyte lost through perspiration, from avocados (more than bananas!). Feel good about this option even more because of the variety of color added with all the veggies thrown in: cucumbers, tomatoes, red onions, and peppers. Plus, the cucumber-dill vinaigrette is not only packed with flavor but helps keep calorie intake low. Vinaigrettes tend to be lower in calorie than cream-based dressings like ranch or blue cheese. Mediterranean Wrap – You’re at a deli… you have to get some deli meat! 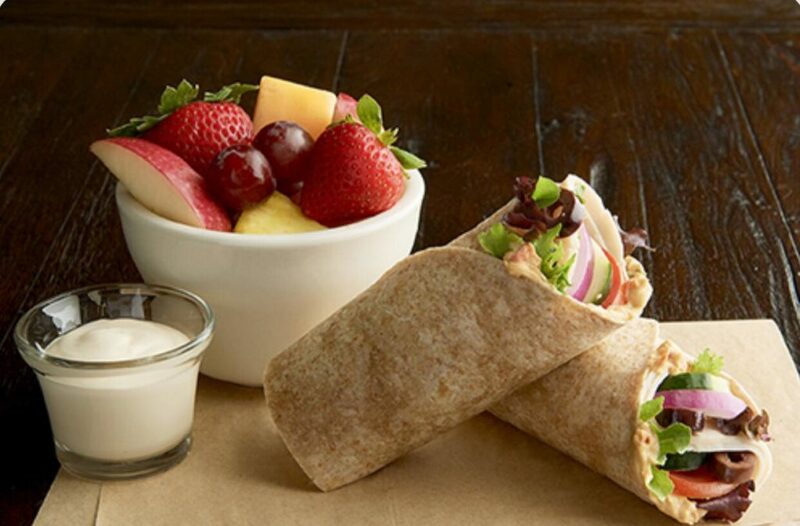 This wrap has turkey breast and hummus for protein, veggies, and an organic wheat wrap for some plant-based goodness. Add some wonderful kalamata olives for flavor and as a heart-healthy fat. There is a reason the Mediterranean diet is so good for you and this wrap is a good example of the reasons why! 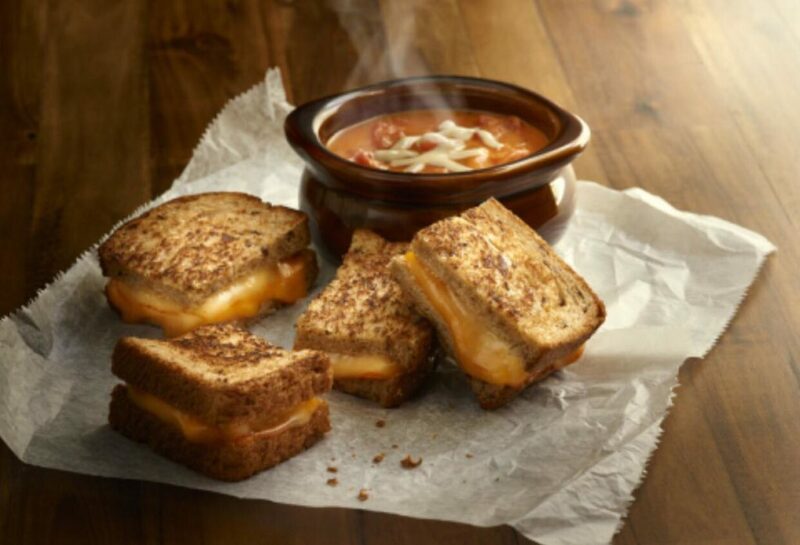 If you have a craving that simply won‘t be satisfied unless you get that Grilled Cheese and Tomato Soup for example (that’s what I’m craving right now with this colder weather! ), that’s okay! It comes in at 950 calories. For most inactive individuals, that can be about half or more of an appropriate calorie intake for a single day. But if that’s all that will satisfy the food craving you are having, split it up. Have half now and the other half later for a snack, dinner or lunch the next day. 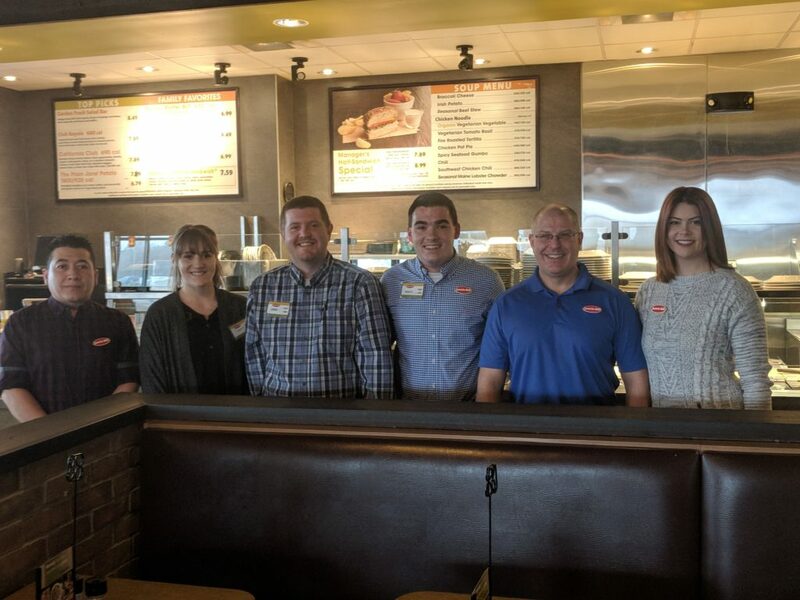 We at Four Seasons Health Club are thrilled to shine a spotlight on Jason’s Deli and extend our thanks to Wesley and his wonderful staff for their support of our community and events! We’re proud to partner with you too, Wesley! For information on becoming a Corporate Partner or Sponsor of Four Seasons Association, contact our Community Outreach Specialist, Melody Tria, at Melody@4seasons-club.com today! Why should I take a Barre and Balance class? 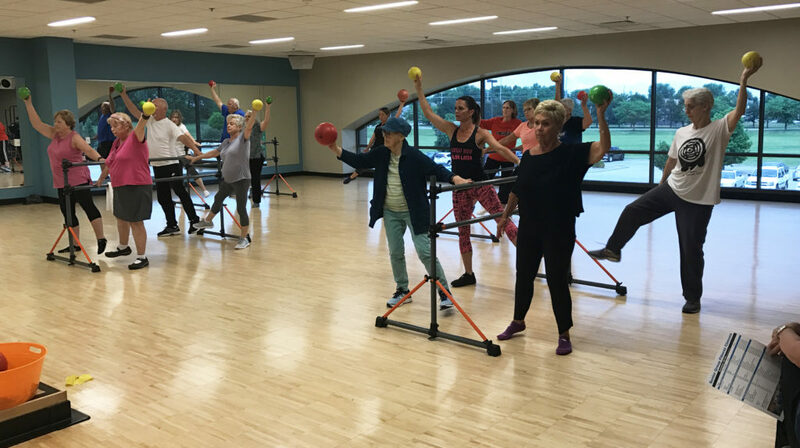 Barre and Balance seeks to improve participant’s posture, balance and foot health. We work on slow, deliberate movements to open the hips, challenge the core and major muscle groups. We focus on form, posture and control throughout the class. Who can participate? It is geared towards the modified crowd, but there are plenty of options for people who want to bring it up a notch or two. I find it helpful to know about limitations/challenges before class to help give options for modifications. What should I wear? Comfortable gym clothes work well. I encourage people to go barefoot or in socks. Some people use socks with grips on the bottom. Please drop your boots outside and come in barefoot so as not to track any salt into the studio. What should I do the first time I attend? Introduce yourself and tell me about any physical challenges or limitations you may have. What type of equipment will I need to bring/set up? You do not need to bring anything with you, but may need to grab some equipment from the front before class begins. What type of movements/exercises can I expect? We start with a head-toe warm up including foot specific movements and stretches. We’ll cover legs, core arms and every class is varied a little bit. There is a hint of a traditional ballet barre feel, but it is not nearly as intense as a barre class. What differentiates Barre and Balance from Barre to the Beat? There will only be 8-16 reps of each exercise, it is at a slower pace and the music is lower. I do not use a mic, so the music is not as loud. What will I see? You will see 4 free standing barres and my mini barre at the front. We typically face the mirrors, but do turn the other way when we alternate legs. We may use a small weighted ball, a block, a small inflated ball or a resistance band. I will move through the room as needed to correct form and posture. What will I hear? My voice cuing for proper alignment and form throughout each exercise with some light music in the background. What will I feel? During class, you’ll feel every major muscle group work along with some smaller supporting muscle groups. You’ll have a few breaks during class, but you will not feel very sweaty. After class, you will feel a sense of accomplishment, steadier on your feet and hopefully taller! Thank you, Ariana, for the insights on what a Barre & Balance class is like. It is classes like this that make us more intentional about our movements. Check out this awesome class! Roses are red, violets are blue. Valentine’s Day is coming… here are some gift ideas for you. We know the go-to gifts this time of year include sweets, flowers, and jewelry, but if your Valentine is an avid gym-goer, why not skip the traditional box of chocolates, and instead opt for something a bit more in line with their healthy lifestyle? Here’s our roundup of 10 Valentine’s Day gift ideas for the fitness lover in your life. Heart Water Bottle: Send your partner to the gym with a reminder of your red hot love (while helping to protect the environment) with a reusable stainless steel red water bottle. Or skip the real blooms and opt for a flower-patterned one to keep the love alive. Apple Watch: If you’re not tracking your steps, did you even workout? Help your Valentine take their health and fitness monitoring to the next level with an Apple Watch. Automatic workout detection, activity sharing capabilities, electrical heart sensor… this baby has it all. Heart Print Athletic Leggings: We’re not sure how fun print leggings manage to make a workout even better, but they do. This silver heart foil printed pair is perfect for Valentine’s Day or any day you want to show her the love. Exercise Dice: Work up a sweat together with a pair of exercise dice. Take turns rolling the dice for each other and creating wild card challenges. Be sure to ask a Four Seasons Trainer for help on proper form if needed. Partner Yoga Mat: Before dinner for two, how about yoga for two? Give your #1 yogi a partner yoga mat and have fun recharging with your favorite poses. Foam Roller: Help your Valentine loosen tight muscles and relieve stress by giving a foam roller with illustrated instructions to help them roll like a pro … because a rolled out partner is a happy partner. Matching Gym Bags: With the dirty job of carting around sweaty clothes and shoes, a new bag is always a welcome gift for the frequent gym goer. And a pair of Four Seasons matching gym backpacks … what a wonderful way to say how much you care. Private Training for Two: Trying something new together at the gym is a great way to strengthen your bond and your body! Gift your sweetie an SLX Pilates Equipment Private session or Semi-Private Personal Training session for two. Instructors and Trainers will create an individualized workout based on each of your fitness goals. Couples Massage: All that working out might lead to some seriously sore muscles. Book a couples massage at a local day spa for a relaxing and intimate experience. Meal Delivery Service for Two: Heat things up in the kitchen by gifting your beau a healthy meal delivery subscription. Fresh ingredients and recipes delivered right to your door make meal planning easy, even on the busiest of days. Add some matching aprons and get cooking! 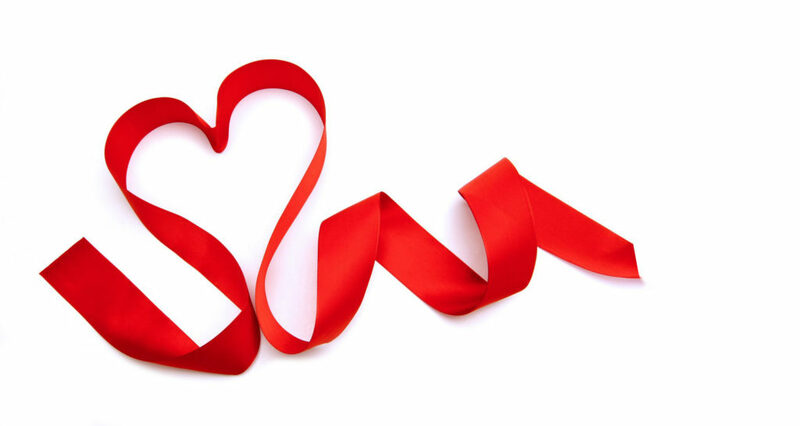 Happy Valentine’s Day from Four Seasons Health Club! I was always athletic, even playing baseball in college, but a knee injury halted any continuation down that path. I finished college in December 2007 at what I consider a staggering 207.6 lbs; a far cry from my athletic years where I averaged mid-180s. 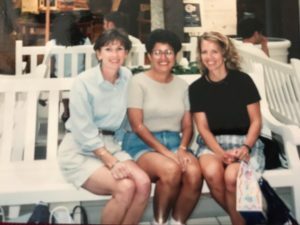 After looking at myself in pictures on a graduation trip, I decided it was time to get my act together. 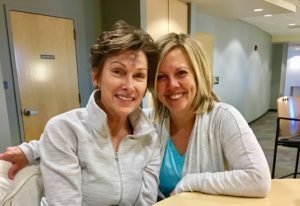 With Four Seasons at my disposal, both my wife and I began a weightloss journey and, yes, we were one of those new year’s resolution people at the beginning of 2008. In a matter of about 4 months I had dropped 45 lbs. I managed to keep most the weight off for years, but as the pages of life turned the weight was slowly creeping back up. In 2009 it was about 170, in 2010 it was about 180, and in 2011 when we had our first child I topped out at 192. In 2012, with Four Seasons by my side, I got myself back in gear and lost 18 lbs which I managed to sustain until 2015 and 2016 when we had our second and third children. Regrettably, I allowed myself to reach 213.6 lbs; this was the highest weight I have ever been! Once again, it was time for a change; with 3 young children it was extremely difficult for me to find time to focus on myself. Thankfully, with a bit of flexibility/help from my employer, I started working out over my lunch period. My lunches were typically wasted sitting in my car or browsing the internet i.e. extremely inefficient. With Four Seasons providing a convenient location to my job, and with all the amenities needed, I was able do short (20 minute) workouts every weekday and a longer (2 hours of basketball) workout on Saturdays. 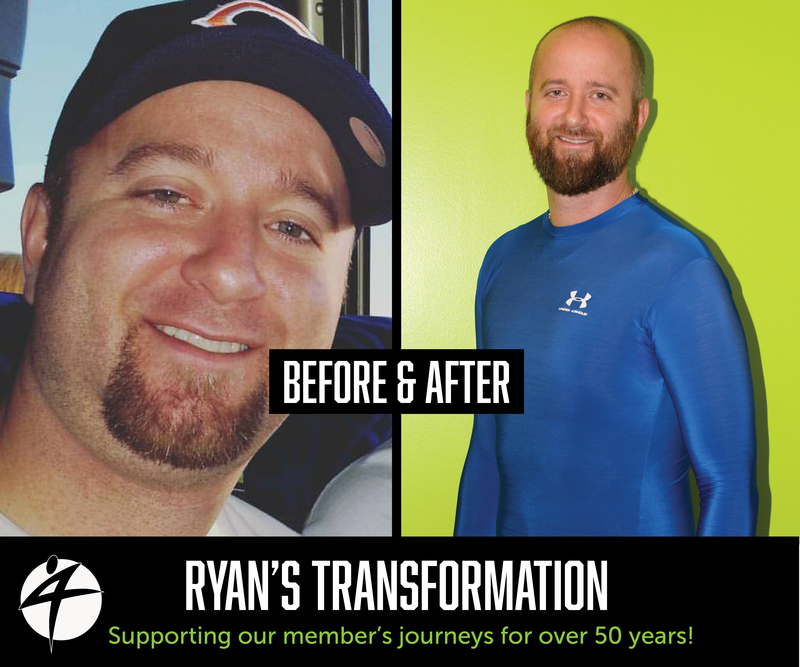 Within 32 weeks I was back down to 185 lbs – a loss of 28! I can’t thank this fitness center enough for always being there. Over my journey, I have utlized both locations, all the equipment, the pools, the hot tub, the basketball courts (my favorite), the track, childcare, group fitness classes, etc. Four Seasons really has all the tools to promote a healthy lifestyle and help cope with the changes that life can bring!